In August 2018, the Trinseo Zhangjiagang (ZJG) latex plant received an enquiry from a group of students from Southwest Jiaotong University, regarding their intention to purchase 50 kg of Trinseo latex binders to be used in making a concrete canoe. The team of students was preparing to participate in the National Concrete Canoe Competition (NCCC) organized by the American Society of Civil Engineers (ASCE) scheduled to be held in April 2019. The students had planned to get the materials in September in order to create the model of the canoe as the prototype. After receiving the enquiry, the ZJG latex plant together with Trinseo colleagues of Shanghai Latex Business Unit communicated with the students several times and came to understand that the material was for waterproofing purpose. Eventually, the materials were provided to the students on a complimentary basis, with a wish that they would win the competition. 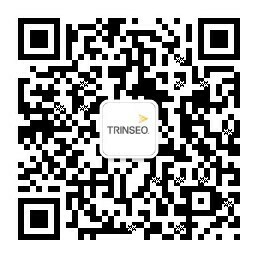 James Ni, Managing Director of Trinseo APAC, sent a letter to encourage the students to put in their best efforts. Recently, the students have finished making the prototype. They named it “Nezha1 Making Trouble at Sea” or「哪咤闹海」and sent a photo of the model to Trinseo.